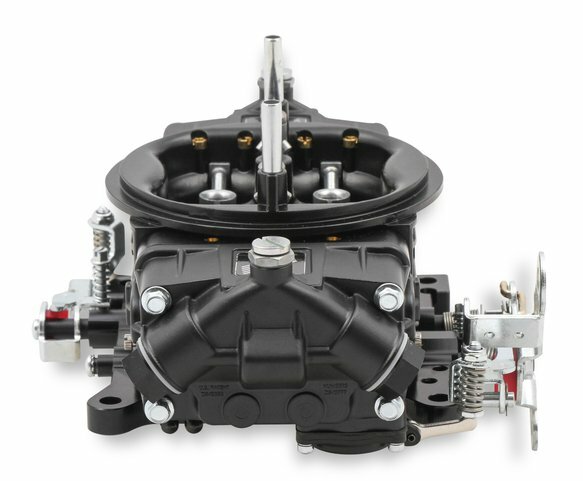 Ideally suited for bracket racers and weekend warriors alike, Q-Series carburetors are purpose-built for the dragstrip. 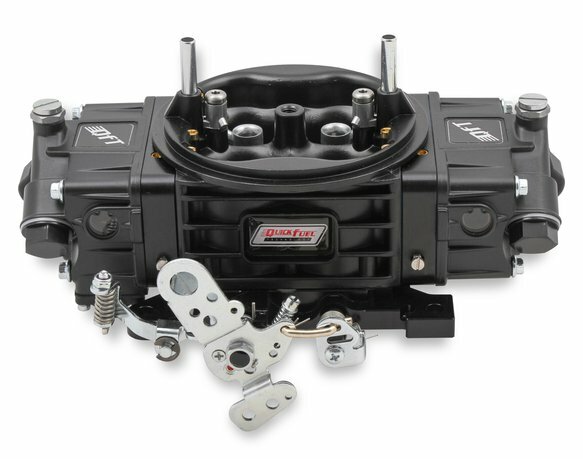 To combat the g's experienced during hard launches, Q-Series carbs are equipped with notched floats and secondary jet extensions. The high-flow aluminum main body isn't just lightweight, but it also features recessed air bleed cavities for improved air flow. 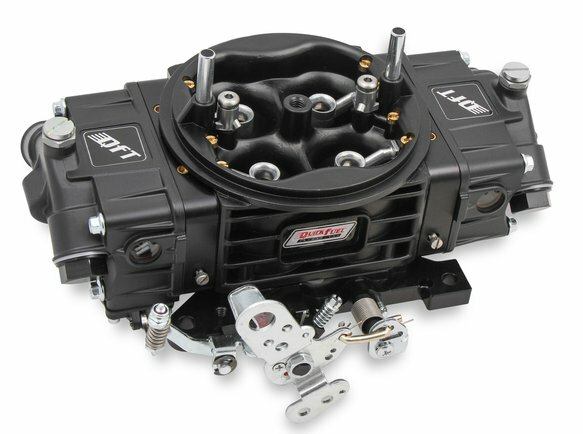 Die-cast venturi are machined to exacting tolerances for outstanding throttle response. 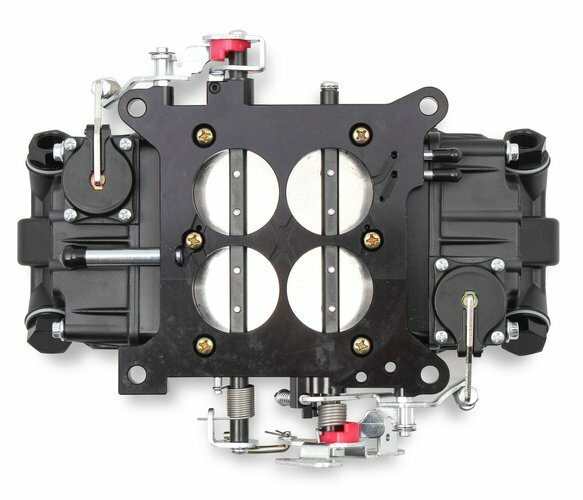 Billet metering blocks ensure a uniform fuel curve, while throttle-bodies enhance durability. 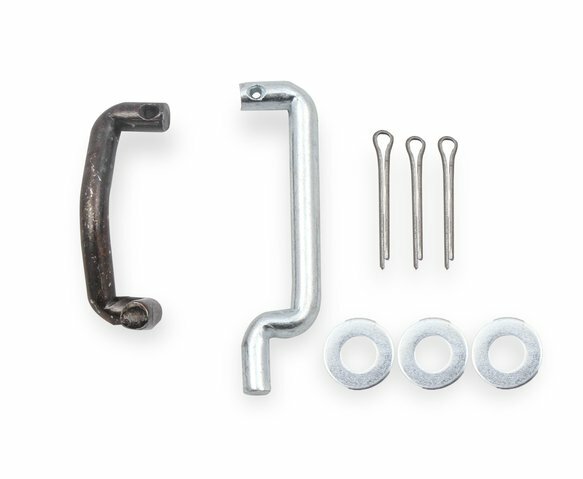 For those days when track conditions vary from one pass to the next, QFT's QuickLink system makes adjusting the secondaries easy on models equipped with mechanical secondaries. 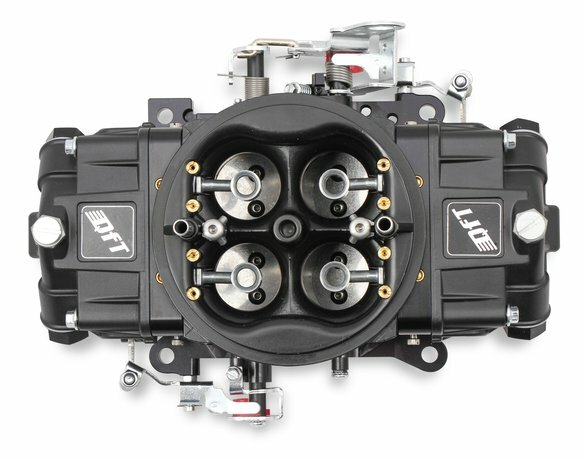 The Q-Series is our most comprehensive line of carburetors, with applications available for use with gasoline, methanol, and E85 fuels, forced induction, drag race, circle track, and comes in both vacuum and mechanical secondary models. Even a carburetor that performs great can still be an eyesore, but it doesn't have to be that way. 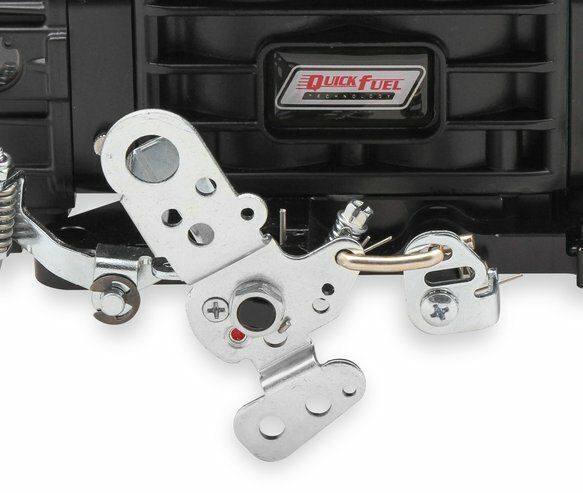 Quick Fuel Technology's proprietary Black Diamond® coating offers excellent corrosion resistance as well as a durable finish that easily stands up to dirt and oil. 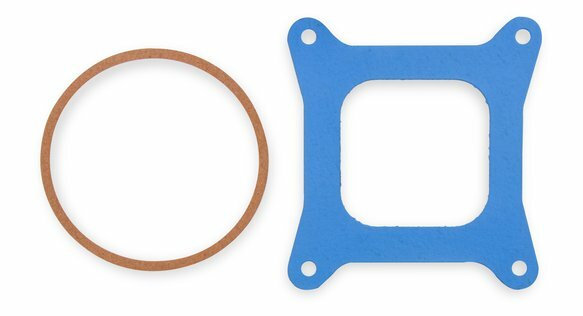 In addition to great looks, the PTFE coating reduces fuel temperature by six percent for improved performance.